Double RoboticsThe Double robot maneuvers through an office. A hilarious new video shows what happens when you let the internet control a robot stuck inside a demo room. 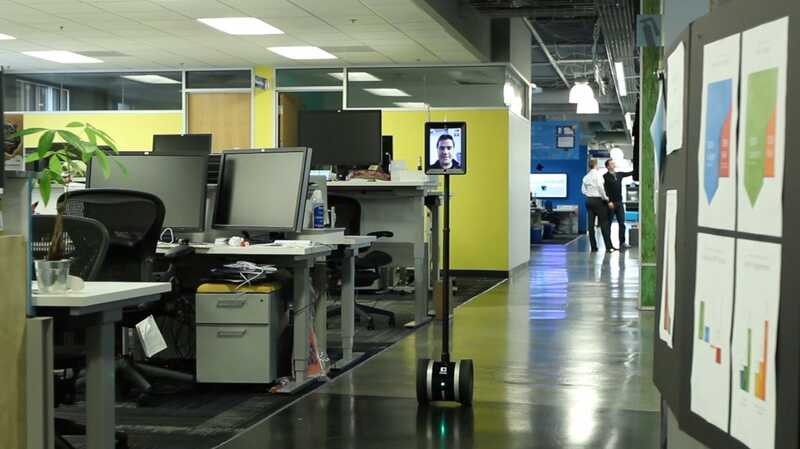 The robot in question is a telepresence robot called the Double, which is basically an iPad mounted on a pole with wheels, which can then be remotely controlled by someone outside of the office. The company that makes the Double, Double Robotics, set up a demo room where anyone online can take one of its robots for a test drive. One of the internet users, however, soon grew bored of the demo room and began to hatch an escape plan. The door to the demo room is usually kept closed with a latch, but one day the door was left unlocked, which then allowed the man to slowly but surely use the robot to open the door wide enough for the robot to slip past. Once free, the robot is free to explore the vacant offices on its own. Unfortunately, the robot can’t quite make it into the great outdoors due to a closed front door, but it manages to explore most of the offices before returning to the demo room and closing the door, leaving Double Robotics to discover its escape when they see the clip online like everyone else. You can watch the robot’s escape and resulting joy ride through the office below, or test out a Double for yourself right here. We first saw this video on Reddit.